This versatile bodysuit is easy to dress up or down. 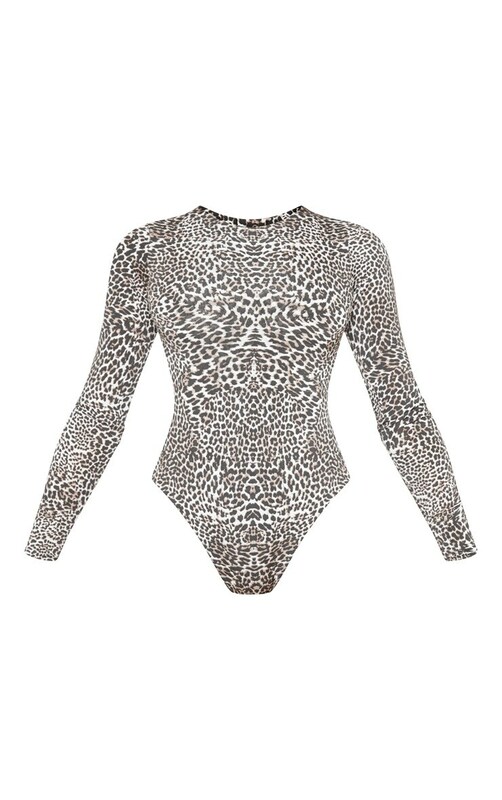 Featuring a tan leopard slinky material, long sleeves and popper fastenings. We love this styled with cycle shorts to complete this simple look.